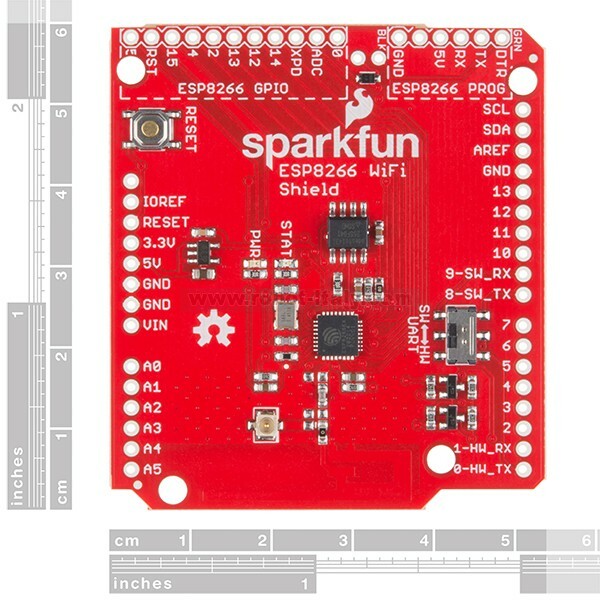 The SparkFun ESP8266 WiFi Shield is an Arduino compatible shield for the ESP8266 WiFi SoC – a leading platform for Internet of Things (IoT) or WiFi-related projects. 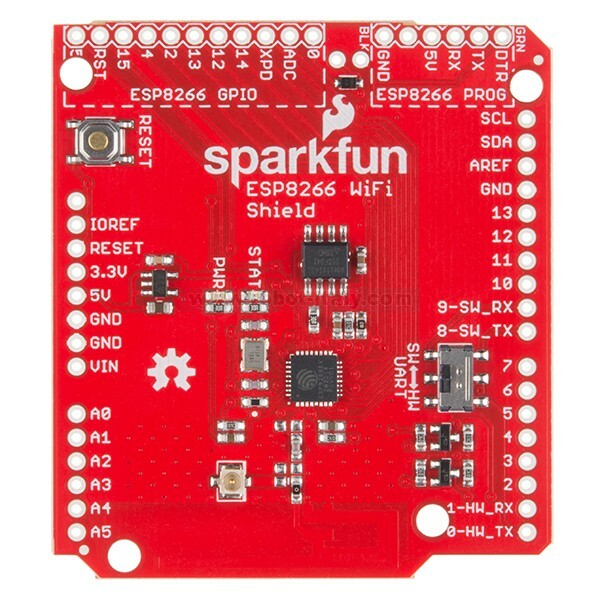 The SparkFun ESP8266 WiFi Shield is an Arduino compatible shield for the ESP8266 WiFi SoC – a leading platform for Internet of Things (IoT) or WiFi-related projects. 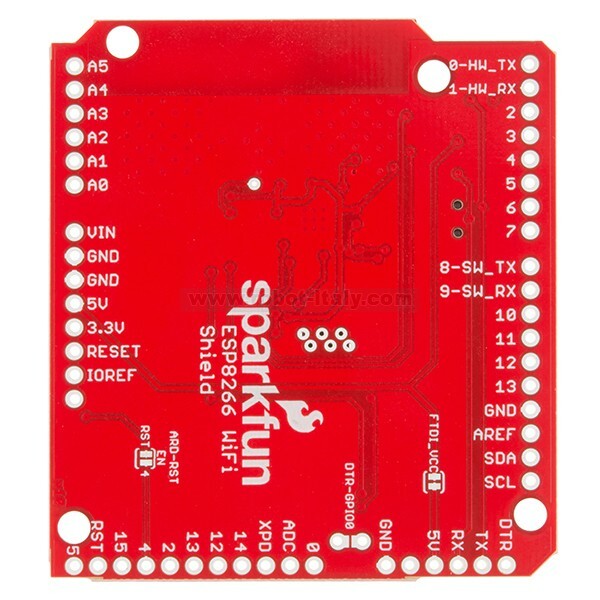 There are a variety of designs based around the ESP8266, including tiny, modular boards and more accessible development boards like our very own SparkFun ESP8266 Thing. 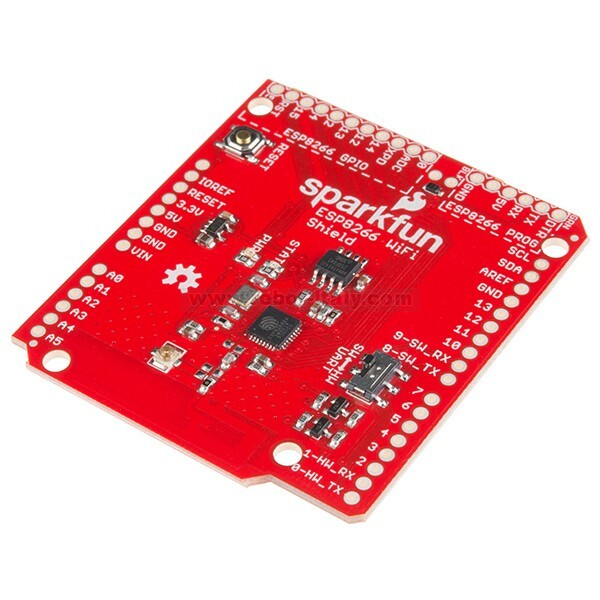 The ESP8266 WiFi Shield finds a middle ground between the Module and the Thing that provides a great introduction to the ESP8266 – without leaving the comfortable hardware confines of your Arduino. 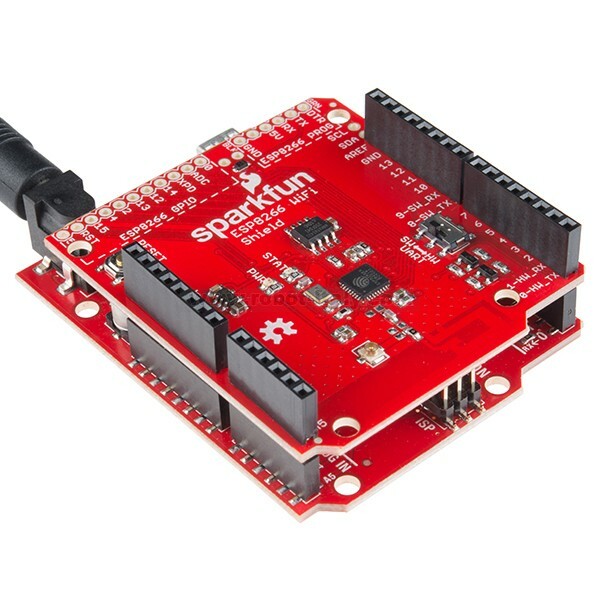 If you just have an Arduino project that needs an inexpensive gateway to the Internet, the ESP8266 WiFi Shield does everything from turning on an LED to posting data with phant.io. This is a 8-pin female header, with extra long legs -- great for stacking Arduino shields. The SparkFun ESP8266 Thing is essentially a breakout and development board for the ESP8266 WiFi SoC. Connect your Arduino to the Internet with this fine new FCC-certified WiFi module from Atmel.